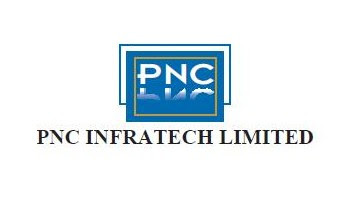 PNC Infratech is currently trading at Rs. 158.90, up by 3.55 points or 2.29% from its previous closing of Rs. 155.35 on the BSE.The scrip opened at Rs. 154.00 and has touched a high and low of Rs. 160.75 and Rs. 154.00 respectively. So far 305777 shares were traded on the counter. The BSE group 'B' stock of face value Rs. 2 has touched a 52 week high of Rs. 228.40 on 26-Dec-2017 and a 52 week low of Rs. 130.00 on 12-Sep-2017. Last one week high and low of the scrip stood at Rs. 160.75 and Rs. 138.05 respectively. The current market cap of the company is Rs. 4063.58 crore. The promoters holding in the company stood at 56.07%, while Institutions and Non-Institutions held 27.37% and 16.56% respectively. PNC Infratech has been declared the L1 (lowest) bidder in two contiguous packages of Lucknow - Ghazipur six lane access controlled Purvanchal Expressway Project in the state of Uttar Pradesh for an aggregate quoted value of Rs 2,520 crore. Uttar Pradesh Expressways Industrial Development Authority (UPEIDA) is the proponent for the 341 km long Green Field Expressway comprising eight individual packages. The construction of each package is to be completed in 36 months on EPC mode.